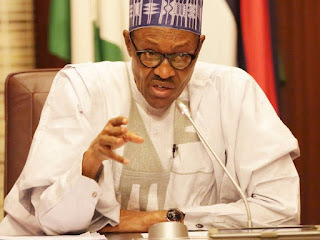 ABUJA, NIGERIA (THIS DAY NEWSPAPERS) -- President Muhammadu Buhari on Saturday ordered security agencies to fish out and bring to book people who indulge in act capable in threatening the peace and unity of the country through inciting statements, instigate civil disobedience, riot and rebellion. The President gave the directive in Uyo, Akwa Ibom State during the 22nd and 23rd combined convocation of the University of Uyo (UNIUYO), expressing concern over series of issues bordering on insecurity and division of the country. The President, who is a Visitor to the University, noted that the convocation was held at a time of enormous economic and social challenges in the country, saying “Our elites and members of the political class also have a role to play in healing and reconciling our nation”. “Law enforcement agencies should fish out people who put out inciting statements, instigate civil disobedience, broadcast hate speeches or stir up strife, riot and rebellion and bring them to book”, he stressed. “The current discussions and debates have been typically lively, boisterous and even sometimes rancorous; but this year, strange and embarrassing dimensions have been introduced. The idea of a part of our country seceding from the rest is not only unacceptable, it is also unconstitutional. “The very idea of issuing threats to a particular group of people with ultimatum for them to relocate from their legitimate places of residence is an assault on the very foundation of our nationhood. “We cannot afford to lose any part of Nigeria through secession, dismemberment or any other process; we cannot accept the breaking of our beloved country and we can never endure this sort of internecine debate and recriminations for a much longer period. “Within this context and as a matter of urgency, I am tasking our universities to conduct research and come up with empirical solutions for this national problem which is plaguing and even threatening our continued existence as a country today. “It is a veritably bad and specious logic when some Nigerians point to the few countries else-where that have undergone secession as a reason why we should also break up our country, but they fail to draw attention to the fact that there are even more countries that have remained united and indivisible. “Our elites must stop misleading our people; they must refrain from spreading fear in the society. The development and progress we all clamour for can never thrive in a hate-filled and divisive society”, the President stated. Buhari said the nation would continue to look up to the universities for solutions to some of the challenges being faced in the country. He pointed out that tertiary institutions now generated through research, the greatest amount of knowledge for the advancement of the present world civilisation. According to the President, “the inability of some nations and their institutions to play a significant and leading role in the global competition for technological and scientific research is the salient cause of under-development in such nations”. He noted that presently, all the scientific research technological developments the world has witnessed today were research-generated, research-support and research-sustained. Based on that observation, the President said the federal government has supported research in all ramifications in universities. “Through TETEFund, the Federal Government has made more than N3 billion available to scholarly and high impact researches. Voting this amount for research should go a long way to ameliorating the problem caused by lack of funds as a constraint to research in our higher institutions. 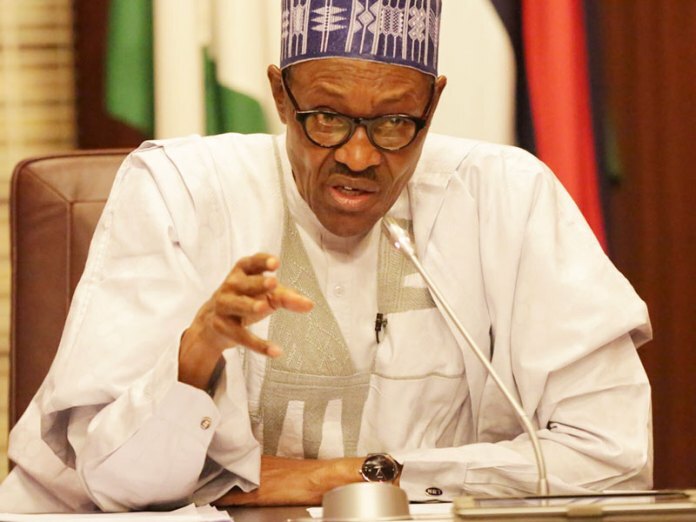 “We need practical research and innovative solutions to our peculiar national problems which range from social through economic to technological”; Buhari declared. He lauded the UNIUYO for inventing a cassava peeling machine, noting that the machine will, among other things, attenuate drudgery and accentuated productivity among farmers. Meanwhile, Vice President Yemi Osinbajo on Saturday advocated that Nigeria is better together and stronger than being separated, advising the people to reject and refuse any call for the country to be divided. The Vice President spoke in Abakaliki during the wedding ceremony of his Chief Security Detail, Mr. Nelson Nwokoro. He landed in Abakaliki with a helicopter, 5N- PEJ around 10:35am for the wedding ceremony. Osinbajo was received by the state governor, Engr David Umahi; the national Coordinator of Buhari/Osinbajo Initiative for Demonstrating Change, Comrade Chinedu Ogah, and others before proceeding to Pastoral centre, venue of the wedding. It was a wedding also involving another couple, Stella Awoke and her husband, Peter Nwenyim, presided by Rev. Fr. Abraham Nwali. The Vice President was accompanied by Minister of transport, Rotimi Amechi, who was the spiritual sponsor of Nwokoro’s wedding. He noted that there is nothing to gain by being separated, stressing the need for the country to be a united nation. He said the greatest problem facing Nigeria was corruption and if the menace can be checked, there would be enough resources for all the citizenry. The VP said, “This country is better together, stronger together than separated. There is nothing we can gain by being separated. All countries around us are all tiny. Rwanda which is celebrated in Africa, Lagos state is six times the economy of Rwanda. So, we are a great country and anybody who wants to separate us, we must reject and refuse him because this country can provide for every one of us. “Our problem is corruption. If we check corruption, there is more than enough for all of us. And I want you to bear in mind that our country must be a united country and as we go along, where there are difficulties, we will sit down and resolve those difficulties as a family”. The VP further commended the state governor for his tolerance and support to the Federal government and the leadership of the All Progressives Congress, noting that the harmonious coexistence of political parties in the state was exemplary. Earlier, the governor urged the federal government to expedite actions in the construction of the second Niger Bridge and the rehabilitation of the Akanu Ibiam International Airport in Enugu. Umahi also informed the federal government that there was no federal road project in the state, pleading the intervention of the Buhari’s administration in some of the federal roads in the state. The National Coordinator of Buhari/Osinbajo Initiatives for Demonstrating Change, Comrade Ogah thanked the VP for the visit, assuring him that his group would galvanize support for the reelection of the President. The Vice president was accompanied by the state’s governor, Chief David Umahi and wife, Rachel; Minister of Transport, Rt. Hon. Chibuike Amaechi; former Governor Martin Elechi; Sen. Sam Egwu and wife, Ukamaka; Speaker, Ebonyi State House of Assembly, Rt. Hon. Francis Nwifuru, among others.